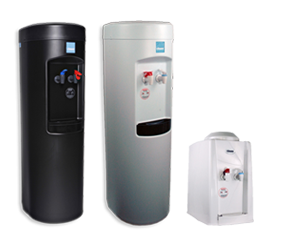 Water Cooler Dispensers focuses on offering the highest quality commercial-grade water coolers at competitive prices. Since the company was founded in 2004, we have always strived to be environmentally conscious and help promote healthy living through clean, filtered water solutions provided to you with exceptional customer service. Shop for your new, high-quality water cooler now. Why Choose Water Cooler Dispensers? All of our units come with hot tank on/off switches, patented child safety handles and leak guards keeps bottles from spilling water on floor.